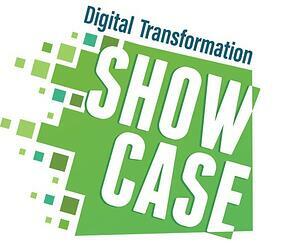 Previously known as the Credit Union Industry Analytics Best Practices Competition, the Digital Transformation Showcase will again provide an opportunity for credit unions to demonstrate their successful practices and compete against their peers before a panel of judges. While the preexisting version of this competition solely regarded analytics best practices, the 2018 Digital Transformation Showcase will now highlight impressive credit unions making strides in both analytics and innovation. How will the idea benefit members and their financial wellbeing? How can the idea benefit the credit union industry? The goal of the showcase is to help the credit union industry collaborate and become more aware of practices executed by peers across the credit union movement. The winning submissions will also receive a plaque that can be prominently displayed at the credit unions and a nationally distributed press release. Back by popular demand, the Killer Fintech Speed Rounds session is designed to highlight technology and innovation that is changing the world of financial services. Join us to witness the fintech companies that are focused on developing applications to remove “friction” from the current products and processes and create superior user experiences. Fast-paced, energetic, and informative. This is a great chance for credit unions to discover the companies that are working hard every day to solve the challenges faced by credit unions. Credit unions today are aware that data analytics, innovation, and cyber security are critical to the success of financial institutions and the credit union movement as a whole. However, great questions remain regarding what to do and how to do it. The 2018 AXFI Conference will feature workshops in all three tracks. Join peers in highly interactive sessions designed to teach digital strategies, analytic skills, and innovative opportunities. Attendees will have the opportunity to get hands-on experience with blockchain and the CU Ledger, building trust through a browser, creating reports to solve credit union problems with data, and collaborating to perform big data analysis. Pick your track – now including Cyber Security! Analytics: The Analytics Track is designed for those that understand their world is changing and seek a way to stay ahead of the curve. Analytics is not an “IT project’, it is a core strategy that must be completely embraced by FIs to not only survive but to thrive. Data is the new Gold and FIs must find a way to collect, store and mine that data. Outside of the big banks, most FIs lack the resources or the time to implement the technology and the processes to harness the full potential of analytics. We will be looking at how analytics can be implemented at any FI, regardless of size, from a number of perspectives that include, implementing a winning analytics strategy, collaborating with other FIs to achieve data scale and share applications, the power of predictive analytics, how to best visualize data, what is trending in Big Data technology and seeing what other FIs have already done. There has never been a conference like this, for those who believe that analytics is the future – you have come to the right place. Innovation: The Innovation Track will be unlike anything you’ve experienced. The future of finance will not be built on software changes or new digital channels. It will be built on how we take the channels we have created to the next level. There will be breakthroughs in security and your members will soon demand things that once seemed to distant and difficult to deploy. Payments will be faster, smarter, more efficient and you will need to find new ways to monetize these new rails. How will you keep up? We will discuss the latest developments and innovations in Artificial intelligence, digital communities, interchange erosion, and identity with a focus on what this means for finance. Come find out why Credit Unions are in the best position to succeed in the new digital world. Cyber Security: The NEW Cyber Security track is focused on key cyber security technologies, strategies, tools and tricks for improving your credit unions cyber security posture. This track covers digital identities, SIEM, NCUA requirements, and updates from the leading technology companies and security experts. Being secure is more important than uptime these days and is sucking down tons of time from boards and IT teams alike. Come learn from the best and walk with actionable plans and tools that will put your board’s worst fears to rest. After experiencing significant growth year after year, the 2018 AXFI Conference will be relocating to a new venue, the Radisson Blue Mall of America. The Radisson Blu Mall of America offers more space and amenities than was available in past years without losing the charm and sense of community the AXFI Conference has become popular for. The new venue is also very closely located to the Minneapolis-St. Paul International Airport and has direct skyway access to the nation’s largest shopping mall, the Mall of America. The Conference has arranged a special rate for AXFI participants at the NEW Conference Hotel and venue, Radisson Blu MOA Minneapolis. To secure this special rate of $189/night, book online here. This rate is based on availability, so we encourage you to book now! The 2018 AXFI Conference will take place June 10-13 in Minneapolis, MN.